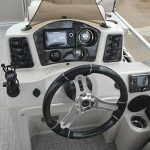 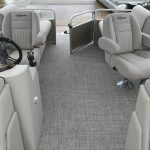 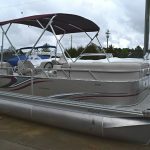 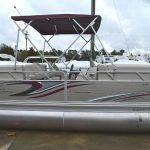 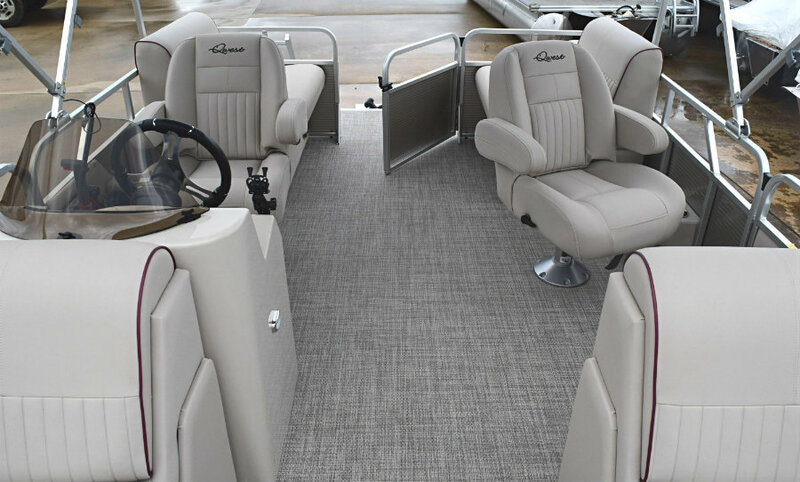 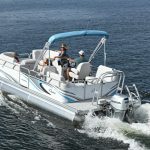 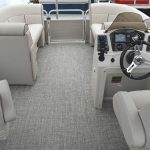 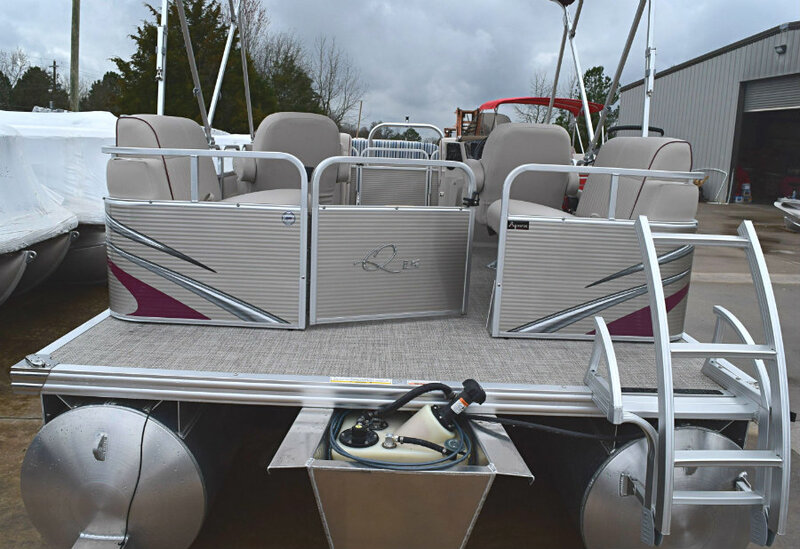 New 2019 Apex Marine Qwest LS 818 RLS Cruising pontoon (2-logs) which is pre-rigged for Yamaha EFI 4-Stroke outboard engines up to a maximum of 75hp. 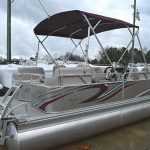 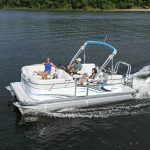 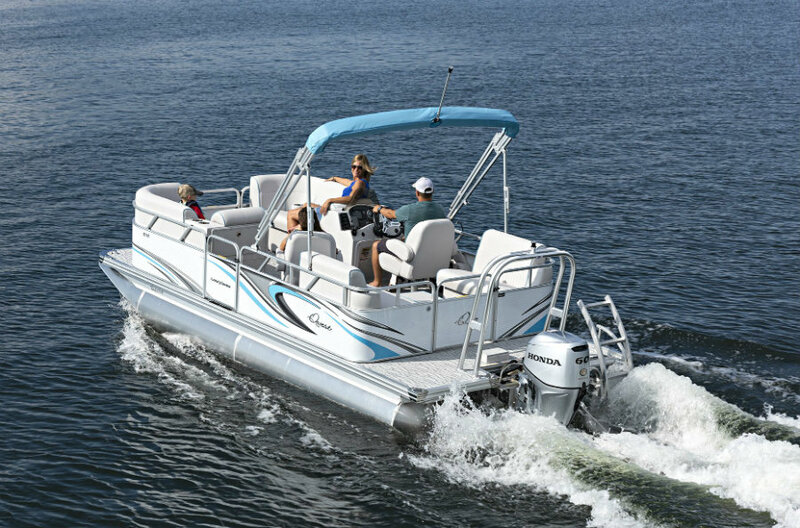 A Tritoon (3 tubes) upgrade package is also available which includes the following features :- increase to 115hp max engine capacity, 10 person max capacity, lifting strakes, full aluminium underskin, U-Flex hydraulic steering, integrated fuel tank in center tube (133 ltrs) w/ fuel gauge in dash, aluminum ski tow bar, rear view mirror & motor trim gauge. 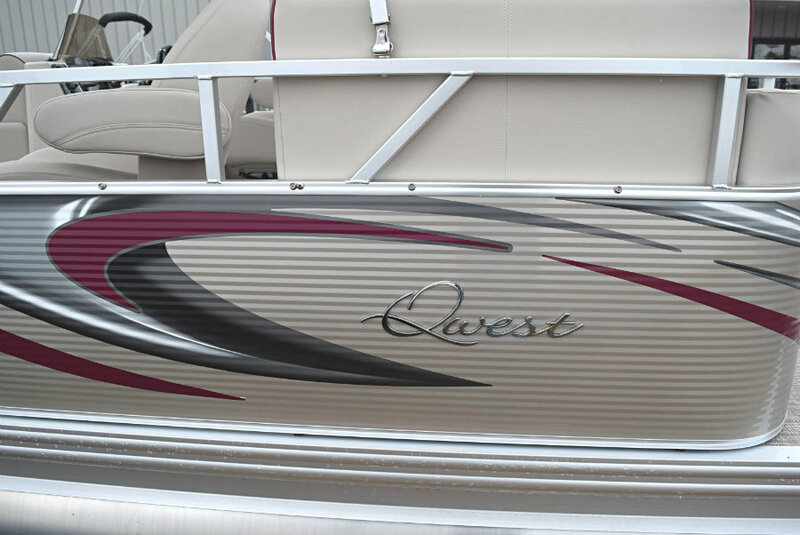 We currently only have one (1) available for immediate shipping :- Platinum & Razzberry exterior (see photo’s). 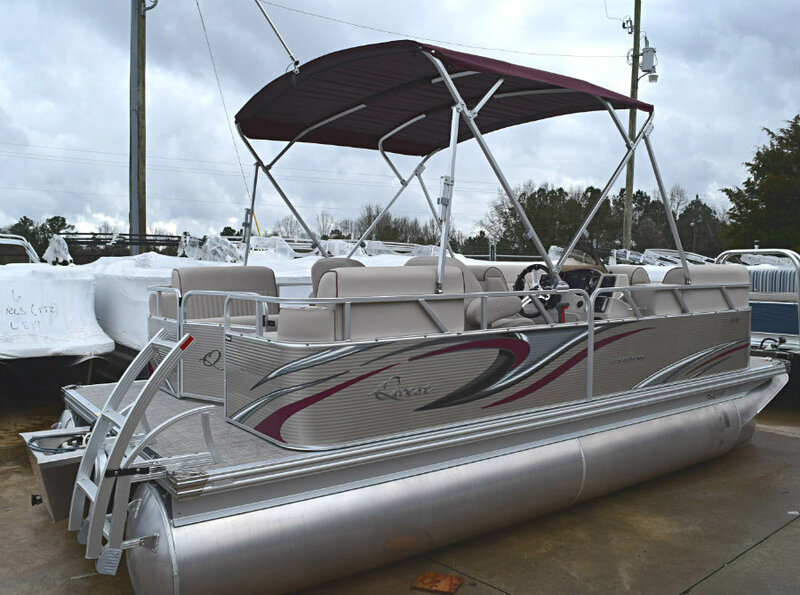 This is a ‘Hull’ package only, and a Yamaha engine and/or a trailer if required can be supplied at extra cost. 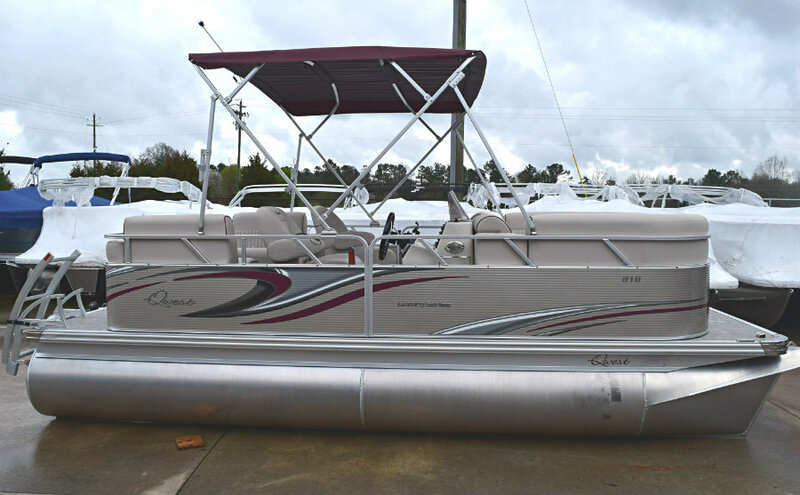 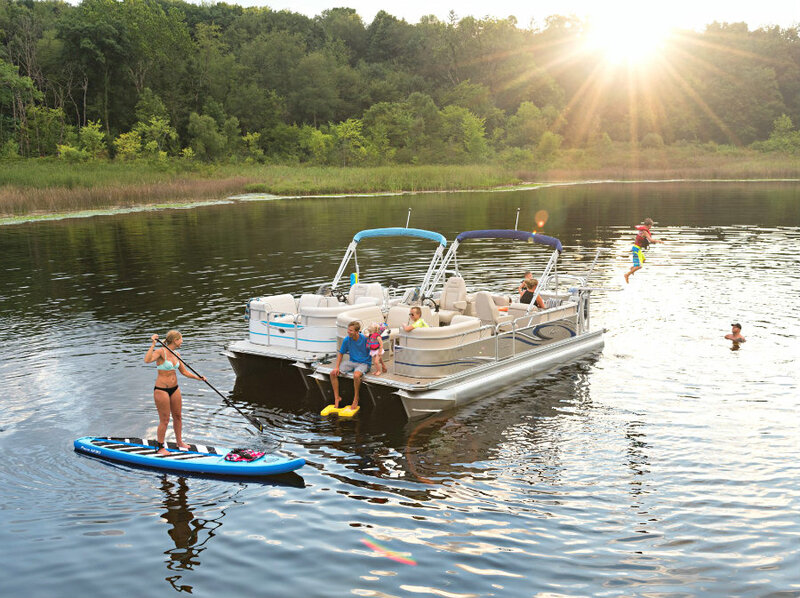 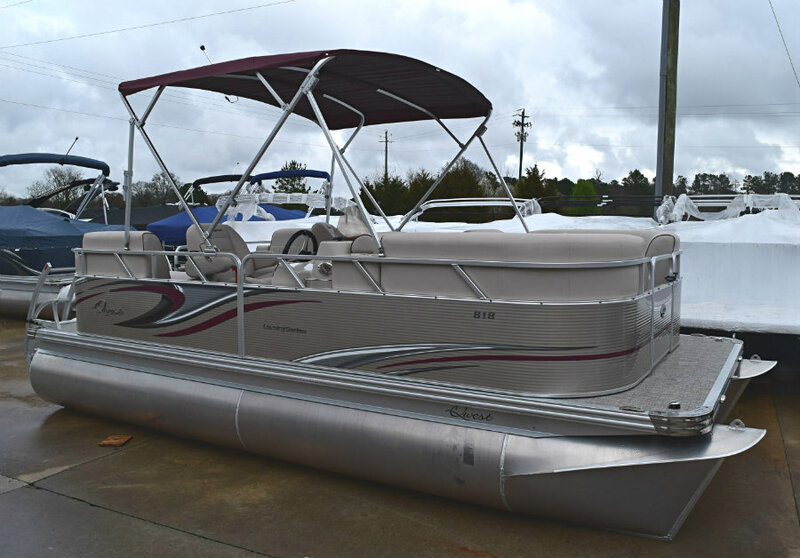 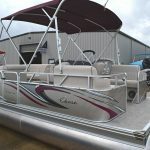 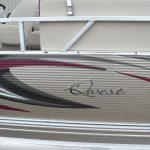 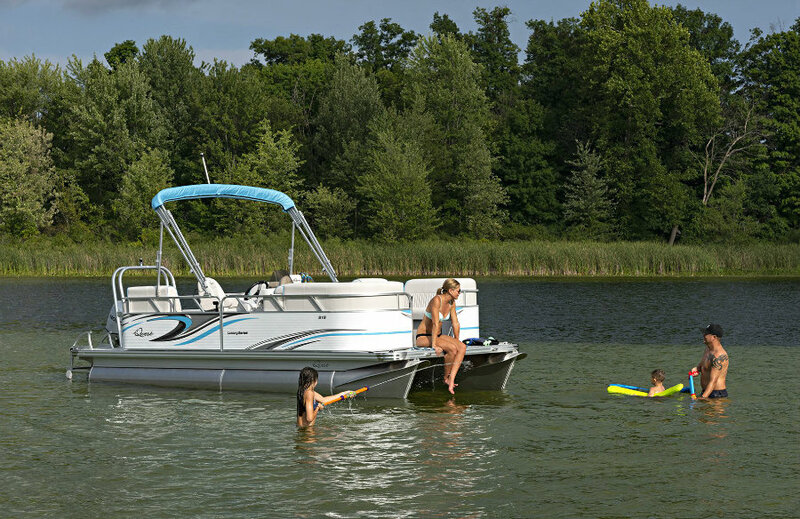 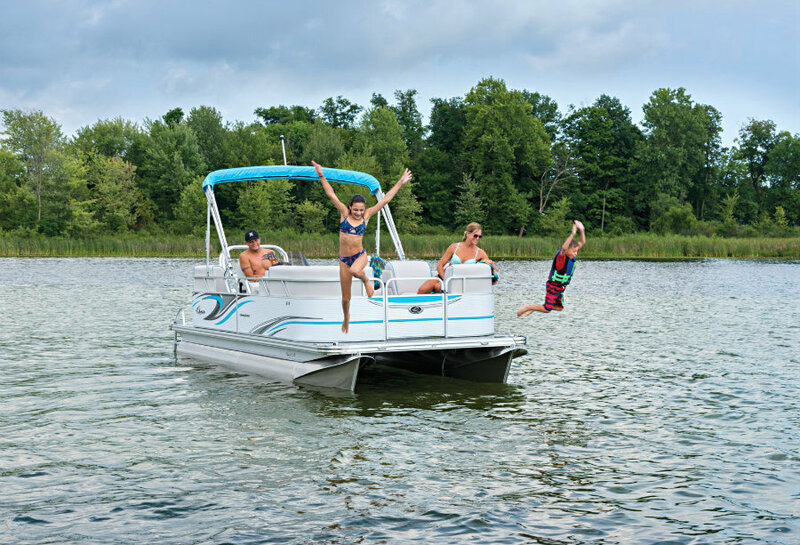 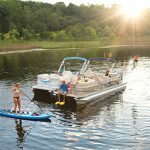 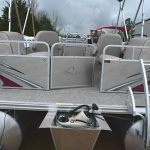 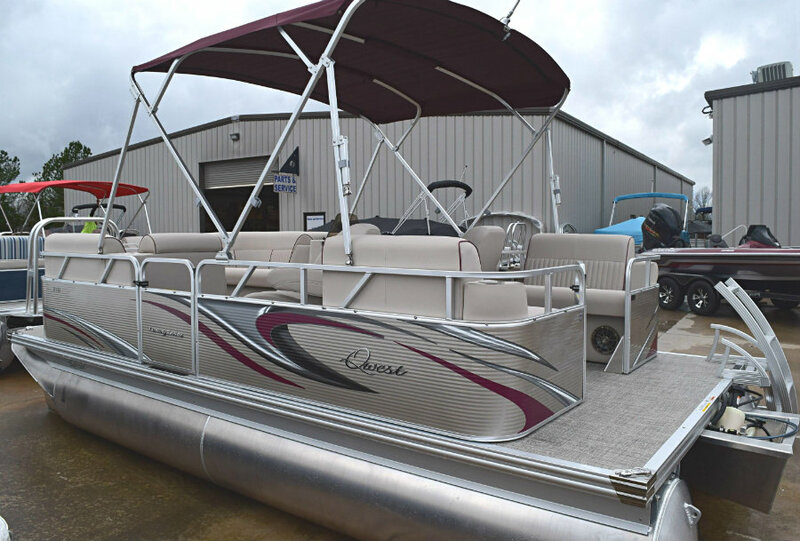 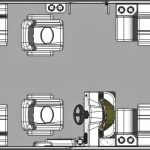 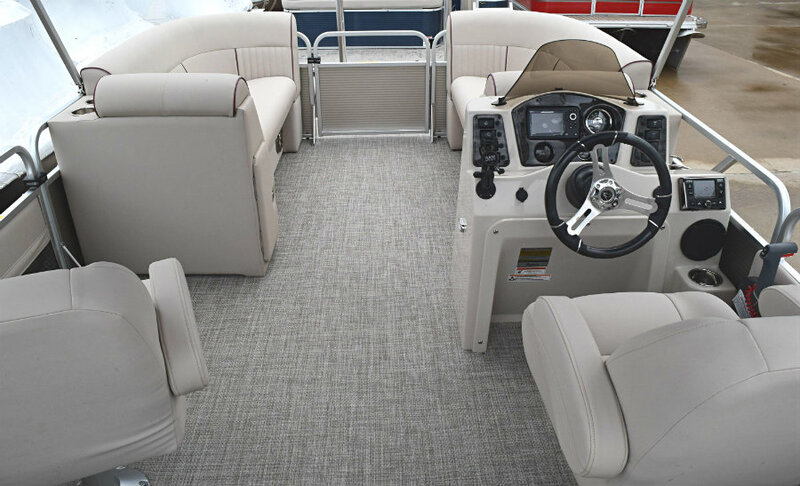 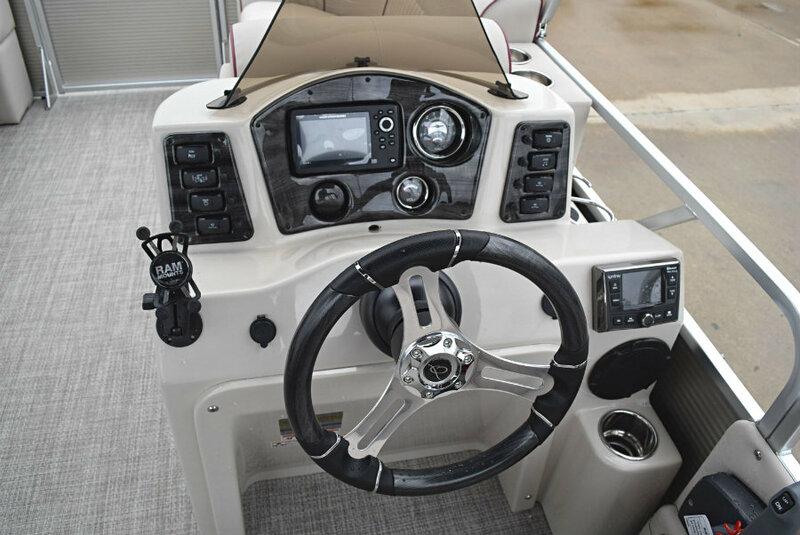 This 19′ pontoon is rated to carry eight (8) people & 75hp max. 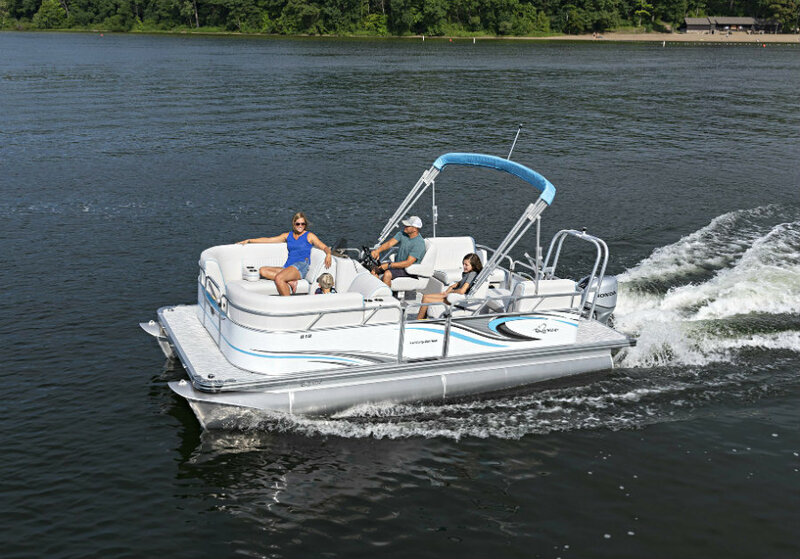 Also included is twelve (12) months NSW vessel registration.